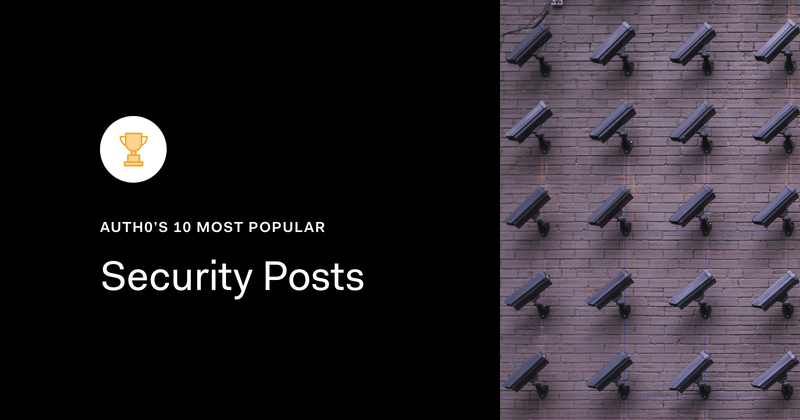 Without much further ado, here's the roundup of our 10 most-popular security posts this year! 1. What is Data Security? What is data security and why it's so important? we've made this article to get you thinking about the definition of data security in the corporate world — and what it means for your team today. Unprotected IoT devices can make it easy for bad guys to cause global damage—botnets increased 140% last year. Gartner analysts predict more than 20 billion connected things will be in use by 2020. Is the world ready for IoT? Four tools to help you cut through the noise, quickly figure out where to focus your energy, and actively respond to suspicious behavior. In this article we'll attempt to cover a comprehensive security strategy for web applications to protect against common threats in web application security and mitigate their impact. Going through a digital transformation? Maintaining continuous customer engagement throughout this challenging process can help keep sales on track. This article explains how Customer Identity and Access Management can help. Explore some of the key technical considerations you have to make while building highly-scalable SaaS products. Learn how to use reliable PaaS (Platform as a Service) vendors available in the market instead of utilizing your valuable engineering resources on infrastructure requirements and make your engineers available to focus on what matters the most, the key features of your project. 7. What is a Data Breach? Let's take a run through the OWASP Top 10 looking at the threats and what we could be doing to make sure our own applications are secure, and examine features of the Auth0 platform that help to mitigate or entirely remove such threats from your concern. Two-factor authentication or 2FA adds an additional step to the process. Like a double security door — if a thief unlocks the first one, he's blocked by another. Learn how 2FA can help Financial Institutions reduce Data Breaches. 2018 was the year that the General Data Protection Regulation (GDPR) finally kicked in. While the GDPR is EU-centric, several countries and states in the U.S. have followed suit with similar privacy initiatives, like the CCPA (California Consumer Privacy Act). We are already preparing our content pipeline for 2019. Digital privacy and cybersecurity are areas that keep evolving as they are challenged by data breaches, vulnerabilities, and sociopolitical policies. We are committed to keep our blog in sync this constant evolution. We'd like to take this opportunity to thank all of our readers for their consistent support and feedback. Is there anything that you'd like us to cover in 2019? Any particular security or business trend or topic? Please let us know in the comments below or through social media (Twitter, LinkedIn). As always, you can subscribe to our newsletter to receive a weekly digest of our blog content.